Hot on the heels of the launch of the Microsoft Accelerator for Windows Azure program in Israel in April this year, the Redmond giant is all set to kick off similar proceedings in India. Having narrowed their selection from over 200 down to 11 applicants, the accelerator will incubate these startups over a period of four months, providing office space, Azure credit, technological guidance as well as mentorship from global business and technology thought leaders, with a view to help them turn their ideas and prototypes into success stories in the country’s nascent startup ecosystem. At the press conference where the final 11 startups were announced, Amit Chatterjee (MD, Microsoft India (R&D) Private Limited) mentioned that there are a couple of key trends in evolving technology businesses in India – the first being that there is a shift in focus from offering bouquets of services to becoming agile product-based development teams. The second is that tech entrepreneurs in the country are looking beyond India and targeting global markets with their products and services. These are indicators of a surge in innovation and a desire to expand customer bases, both of which make India an ideal location for an accelerator program like this one. To drive innovation and entrepreneurship from India. Help transform big bold ideas into realities. Help build a few major startups that will show the way for others to follow. Work hard on their ideas/prototypes over a period of four months beginning in September, armed with the necessary tools in a nurturing environment. Interact with mentors to revalidate, productize and go to market with their ideas. Gain knowledge from the 360-degree mentorship they will receive from industry leaders, VCs and domain experts. Engage in weekly talks and informal dinners with mentors and guides, and also attend industry events. S Somasegar, Corporate Vice-President, Developer Division, Microsoft Corporation also graced the event with his presence, having traveled all the way from the Redmond HQ. He was excited about the recent surge of tech entrepreneurship in young professionals across the world that has been seen over the past few years. He also spoke about how India has and continues to be a great place for technology adoption, with software revenues in the country slated to cross $100 billion this year and over 235,000 jobs to be generated in this field. By implementing this program, Microsoft will get to know the startups up close, create an ecosystem of potential users and future market influencers, and receive crucial feedback from those at the forefront of innovation at a time when tech startups are beginning to gain momentum in India. Go social with your TV viewing experience with this upcoming service that allows you to connect with friends and family to learn who’s watching what, view channel guides and get recommendations, publish your activity to social networks, review shows and even learn about your viewing patterns. With a core four-member team, Amplyfy.me is creating the ultimate secondary screen experience for television viewers to engage with a variety of allied content, whilst providing a platform for content providers (TV channels and networks) to promote their programming in an exciting new medium. The app is already available for Android devices, is under review for launch on iOS devices and will soon add rich media enhancements such as gossip, trivia, betting and even games for popular shows. This energetic team consisting of developers, doctors and scientists wants to help India get fit with a host of lifestyle tracking apps, social networking tools and a platform to find products and services to get in shape and stay healthy. If you’re concerned about the security of your data in the cloud or in physical data centers, CipherGraph Networks has you covered. The company is looking to remove one of the most crucial barriers to adoption of cloud-based technologies: they’re working on a cloud VPN that allows secure and controlled access to your valuable data from all kinds of devices, including smartphones and tablets. If they have their way, their hardware-free VPN as a service will allow for enterprise-level data and service migration, thus opening up a new world of scalability to businesses and teams. CloudInfra is all business – the team is hard at work creating a solution for processing logs to help enterprises unearth rich information in both structured and unstructured data. Their tools for managing, storing, archiving and controlling access of logs in the cloud will provide a way to transparently scale up data when required. India is obsessed with Cricket. Like name-city-streets-after-live-players obsessed. And that’s exactly what Gameizon is hoping to cater to, with a still-under-wraps innovation to help sports fans connect over their favourite games in real-time. 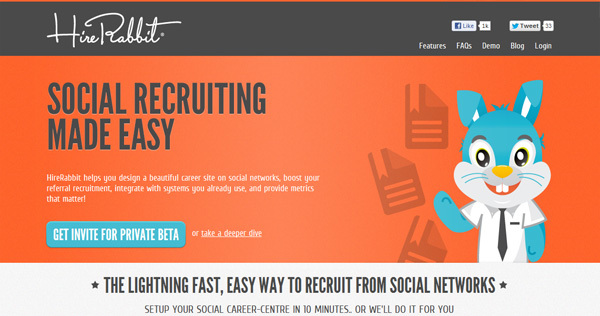 HireRabbit allows companies to create career sites that leverage the power of social networks to help find talent and build teams quickly and easily. The app is currently in private beta, but will find use in companies of all shapes and sizes who’re looking for quality hires with a minimal use of resources. NowFloats allows you to get the pulse of wherever you are, at that point in time, and share your experiences as well. Users can ‘float’ their ideas and thoughts that are relevant to a place at a certain time and read, promote and expire others’ ideas tagged there. It’s a much more personal exploratory experience and doesn’t come with the baggage of gamification and connecting with a closed networks of friends. It’s not just about where you are, but when you’re at a certain place and what you’re experiencing there. 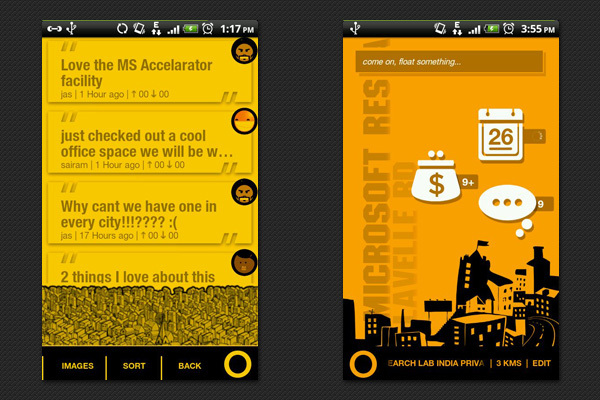 The NowFloats app (already available on Windows Phone and Android) also brings you information on offers, events and tips wherever you go, so you really get to know places and make the most of your visit. The 10-member team from Hyderabad is looking forward to the mentorship that they’ll get access to over the course of the accelerator, and will work towards rounding out the feature set and user experience as well. Available across mobile devices and on the web, Plustxt aims to be ‘the best texting platform’ offering security, privacy and ubiquitous availability. It’ll automatically add contacts from your address book and social networks and will be as fast as any other competing service on the market. So whether you receive an SMS, a Facebook message or a Google Talk message, you can answer it from Plustxt’s unified secure platform. The app will be available on Android, iOS, Windows Phone and web platforms in the near future. 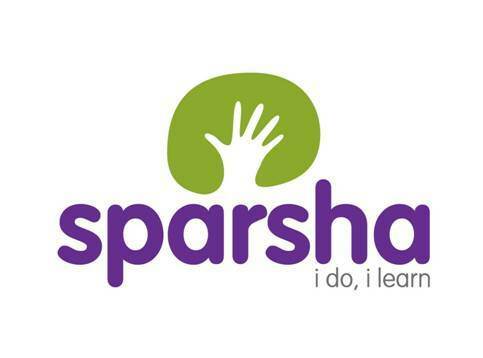 Headquartered at the famed IIT Kharagpur’s Science Technology Entrepreneur Park, Sparsha Learning Technologies focuses on a core philosophy of learning by doing, to enable learning a variety of skills through simulation-based interactions and experiences. Whitesharkk wants to help budding developers learn to code by adding gamification to their training programs. Completing a course means you’ll not only have acquired new skills but will also have a finished product/app that’s ready to deploy and can be added to your resume. Users can also unlock badges to show off their achievements and even score discounts on subsequent courses if they score high on completed courses. Wondering about how (and what) you’ll be remembered for after you die? World Without Me lets you curate your life story to pass on to loved ones so that you’re never really forgotten. Around 60 mentors from various backgrounds will help these startups gear up for the road ahead, offering advice on everything from technology and development to productization to securing funding to building great companies. Mukund Mohan, who is the CEO of Hey Maya (which specializes in virtual administration software), and has successfully founded and sold three Silicon Valley startups in Internet and enterprise software markets. He is now a VC himself and will take on the role of an Industry Mentor, guiding the Accelerator finalists in the ways of the startup world. Ben Walters, who is the Director of Program Management for Visual Studio at Microsoft India (R&D) Private Limited. He has over 22 years of experience in the software industry across startups and large ISVs, with much of the past decade being spent in cloud computing and cloud enabling technologies. Ben Mathias is an Investor Mentor in the program. He joined New Enterprise Associates in 2006 and launched NEA (India) Private Limited in 2007. He is also on the board of Novatium Solutions, ValueFirst and RT Outsourcing. Pari Natarajan is a Business Advisor in the Accelerator program, and is also the Co-Founder and CEO of Zinnov Management Consulting, a premier consulting firm assisting Fortune 1000 and reputed SMB firms in their global sourcing and emerging markets expansion initiatives. 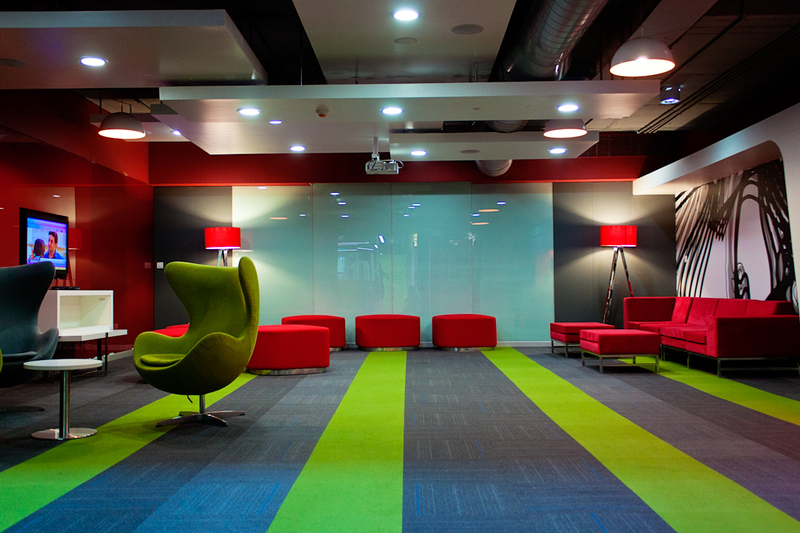 The Accelerator workspace in Microsoft’s office located in downtown Bangalore, is a state-of-the-art facility with an open layout to allow startup teams to interact freely with each other. 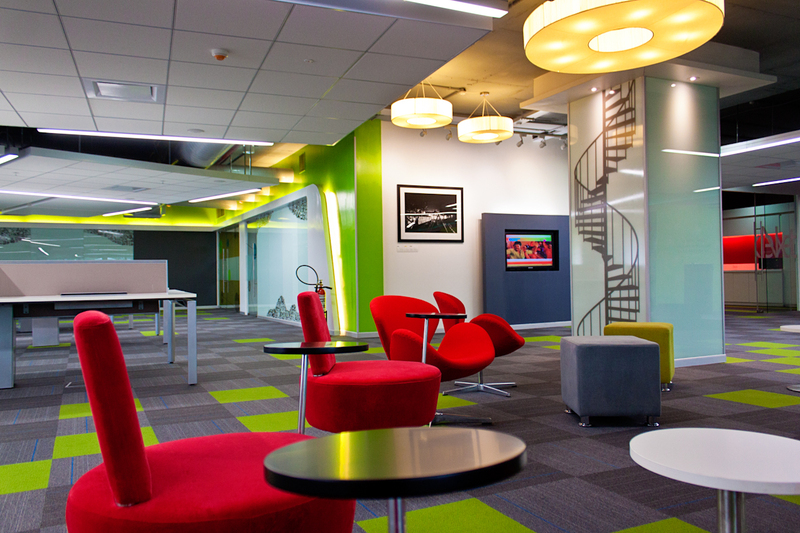 There are breakout areas for informal huddles and mentors, as well as well-appointed conference rooms to help connect with mentors and other startups in Microsoft’s Accelerator programs in Tel Aviv. A gym, games room and cafeteria are also at the teams’ disposal. There’s even a common space christened ‘The Garage’ where the teams can engage in community networking sessions, enjoy pizza dinners with industry luminaries, grab a bite, or just relax with a movie or a Kinect game. AG: You’ve been involved with startups in Israel and China in connection with the Accelerator program – what’s the difference between them and their Indian counterparts in terms of approach, area of focus and quality? SS: Israel has the highest number of startups after the US, and has a very mature startup ecosystem (considering talent, investors and infrastructure), which is amazing considering that it’s a small population of about 10 million. India and China may not be as mature on that front, but compensate with larger numbers of people involved in the startup ecosystem and bring just as much passion and drive as their counterparts elsewhere. And you can see that right here with the 11 startups in the Accelerator program. Be it social media, gaming, education, healthcare, analytics – these people are tackling problems that are being faced across the world and not just in India. 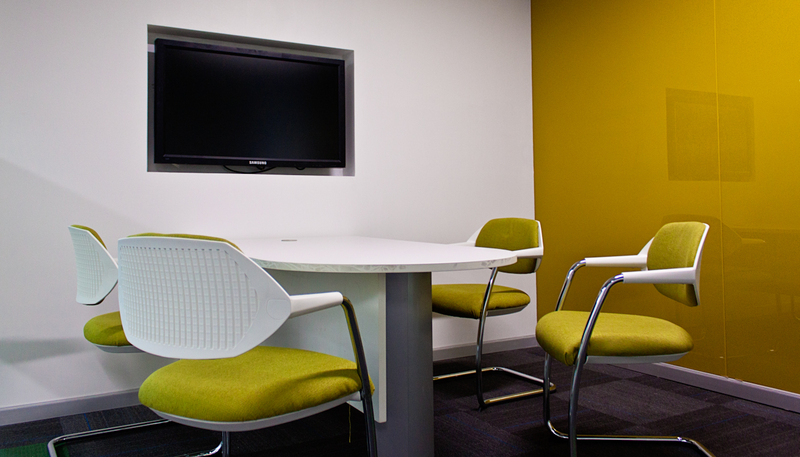 They have the know-how and technological expertise to take things to the next level with their ideas. AG: Apart from the support the Accelerator program is providing to these 11 startups, what else will be needed to help bolster an ecosystem conducive to innovation and thought leadership in India? 1) Awareness of what’s going on in the startup world, what kind of problems people are trying to solve and how they’re going about it, is the key to creating a novel solution to a relevant issue. This will also help startups find a USP and differentiate themselves from the competition and rise to the top. 2) Understanding what it takes to break into the VC circuit and becoming more savvy about how to approach investors and address their concerns properly is another area where Indian startups are lacking – particularly when they’re not going through a structured program like Y Combinator. Hopefully we’ll get there in time. AG: Apart from infrastructure and programs like the Microsoft accelerator, what else does India need in order to bolster an ecosystem that is conducive to innovation in the country? SS: No one accelerator or similar program will do the trick – these can only show people (and investors) the potential of these startups. What is needed is a sign of success; the more success stories we have in the startup ecosystem, the more faith and confidence others will have in this avenue, be they investors or innovators. The Accelerator is a boon to the 11 selected startups who have a lot to gain not only from the infrastructure but also from the holistic mentoring they’ll receive over the course of four months. It’ll be interesting to watch how their ideas take shape and where they go from here.